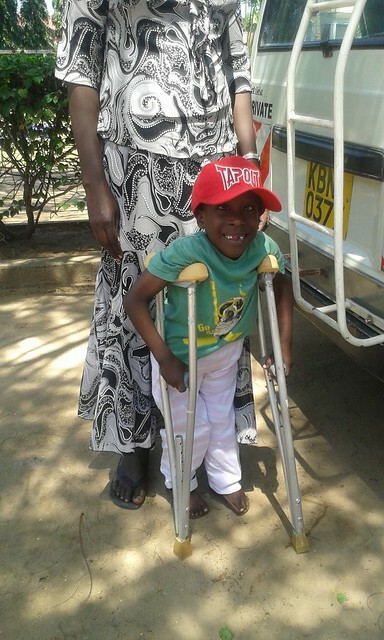 Lawrence Bidel is one of our special children at the Good Life Orphanage, born with Spina Bifida to a very young mother in July 2010, he arrived to join our family on 28/07/10 thanks to The Carr-Deed Family who noticed his need for urgent medical care. Six years later he is outspoken, cheerful, and brave with vibrant spirit who touches the hearts of everyone who meets him. 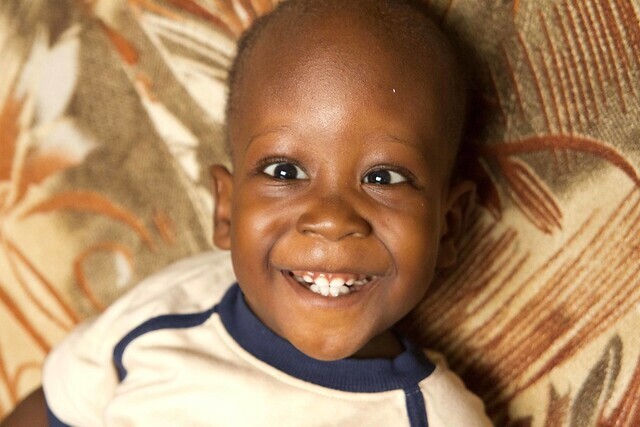 With his welcoming charming smile he enjoys life at the orphanage where he receives best care and love of the care givers with enthusiasm to see him thrive. In spite of being told by numerous people in the medical profession that we should just leave him and let nature take his course, Lawrence has defied all of them and survived against the odds thanks to our wonderful team at The GLO. Since his arrival six years ago, we have tried to keep contact with his grandparents and made sure he does not forget his family roots; this makes it easier for adjustment during integration. 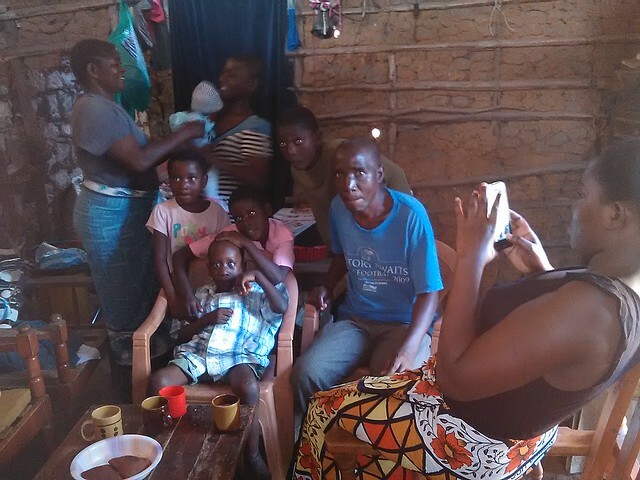 It is important to help any child to stay in contact with their relatives through home visit programs, without an exception we thought of giving this special boy an opportunity to experience family life. He was in high spirit this August announcing to everyone his upcoming visit as he looked forward to meet his grandparents. Everything was organised well in advance with his maternal grandfather but first we had to take him for a medical review on his condition at Portreitz Hospital. This happens every three months as doctors specialised in their field visit from Kijabe. He also had plasters removed from his legs and get calipers fitted before being given chance to use crutches in facilitating his movement. He was excited about this appointment as he is very keen to move freely around The GLO compound. 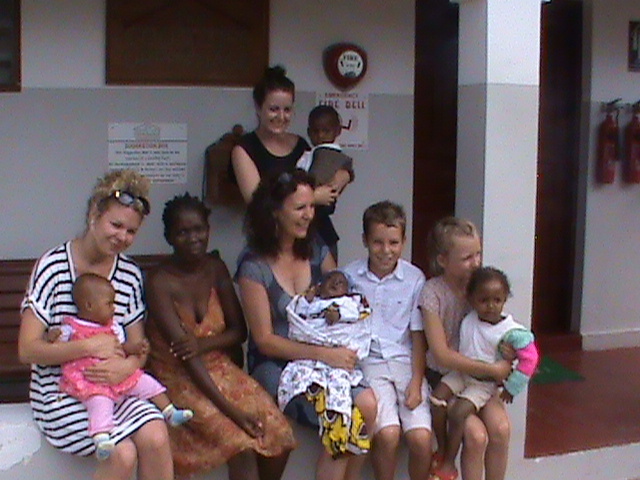 Lawrence was very excited when we arrived to the home of his grandparents and their other children warmly welcomed us. After entering the house the boy’s mood changed suddenly, he looked overwhelmed, anxious and uncomfortable at this new environment. Each of us tried to utter calming words but when the chicks appeared in the house he became even more stressed him more as he is not used to seeing them in such close proximity. To our surprise it looked as if there was no positive thing that would enable him enjoy the moments of his home visit! It seemed like his memory had shattered at once as he kept saying he did not recognise some of the family members including his biological mother whom he met just over twelve month previously. We kept reassuring him of his safety but he still persisted on coming back with us to the orphanage, we discussed the situation with his grandparents who requested he stayed for one night just as a trial but later that night Lawrence asked them to phone The GLO immediately to arrange for him to be picked up to be reunited with Mama Delrosa and his family in Keogh House. The following morning very early he called again and repeated the same message. On hearing his distress we went to the grandparents house and on seeing us Lawrence became ecstatic as he knew he was returning to The GLO. 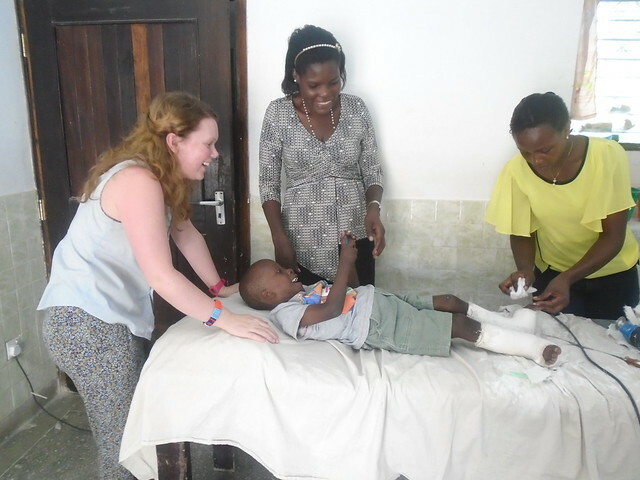 The family were also relieved as they did not realise the level of care Lawrence receives daily by our GLO caregivers including weight bearing exercises and physiotherapy. 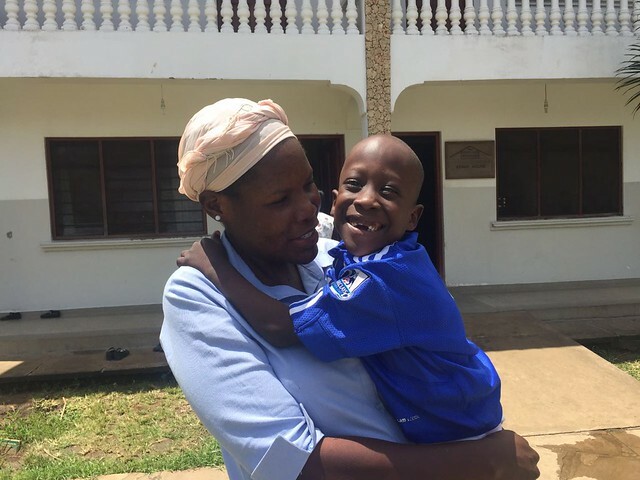 Children such as Lawrence are now used living in a caring and loving environment at the orphanage being surrounded with siblings who add joy to his daily life, there was no way he could stay far from them. 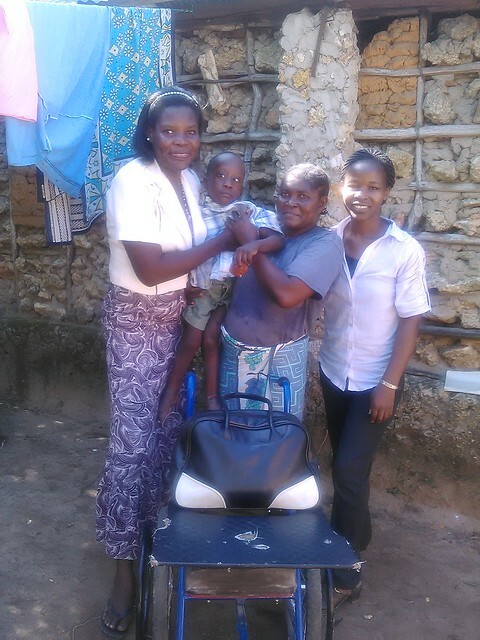 Living in the village with his family is not an option for Lawrence, he receives a very high standard of care that would be impossible for the family to do and as we have known for the past six years without Lawrence being placed in our care he would have never survived. He is receiving a good education, he is a confident and content boy, his home will be at The GLO until he decides he wants to be reunited with his maternal family but realistically we realise that may not be until he is a grown adult and is forced to leave us at 18 years old. He will always remain one of our “special children” with a wonderful personality and a killer smile. Hear renching for all involved! Please God he will continue to blossom at the GLO. Very sad that he did not find comfort being with his natural family. But God willing such a brave little boy will find his place in life., particularly with such a joyful smile and the continued care of the GLO.